Home » Canada Immigration » Canada Express Entry Points Calculator 2015 – How to Score Maximum Points? Canada Express Entry is the much easier and quicker pathway that was launched by the Canadian government on 1 January 2015. With the introduction of Canada Express Entry system, potential candidates can easily immigrate to Canada with no hassles. Under Canada Express Entry system, candidates who are eligible for any of the federal immigration programs such as Federal Skilled Worker Program, Canadian Experience Class, Federal Trade Worker Program and Provincial Nomination Programs can file an application. Beginning 1 January 2015, all applications for permanent residency are managed under the Canada Express Entry system. In order to qualify under Canada Express Entry system, candidates need to pass in Canada Express Entry Points Calculator 2015 to enter the country. It is a point base system and applicant need to score points under various factors. In simple words, we can state that the Comprehensive Ranking System is used to evaluate the candidates profile to place them in the Express Entry pool. The comprehensive ranking system will evaluate the candidate’s profile based on certain factors such as skills, language proficiency, work experience, academics and other criteria. Extra points will be given for candidates who hold a job offer or nomination from any of the province or territory of Canadian government under the provincial nominee program. CIC will grant an invitation to apply to the highest ranking candidates from the pool through regular rounds of invitations. The primary motto of Express Entry is to maintain strong ties between economic immigration and the labor market of Canada. And, a nomination by a province or territory will award additional points to the candidate. 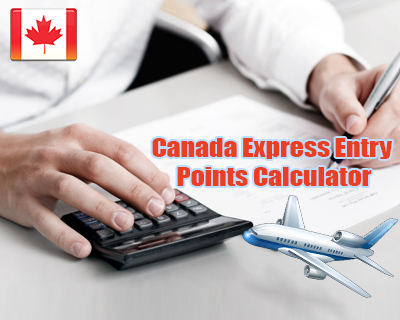 How Points will be Allotted under Canada Express Entry System? So, if you are an interested candidate, then this is the right time for you to apply under Canada Express Entry system.